Physical Description Tyler is athletic and clean cut. He has a tendency to walk with a little bit of swagger. 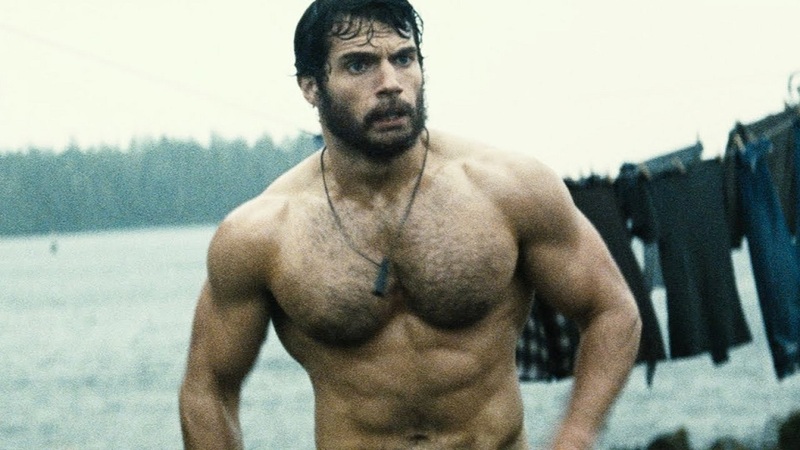 His arms are muscular clearly indicating upper body strength. He has broad shoulders. General Overview Tyler is extremely charismatic but he keeps his charisma in check and likes to play the stoic gruff officer. He prefers morality over staying strict with rules. He often will bend general orders if morality deems it worthy. Tyler is a compassionate man, oftentimes not imposing punishment if it is needed. He is fiercely protective of his crew and views them as members of his family. Tyler is a natural leader, however, he likes to lead by committee. His leadership style is to fly by the seat of your pants. Strengths & Weaknesses Tyler's strengths come from his deductive reasoning skills, he has a mind similar to that of the fictional character Sherlock Holmes. He is known as being a leader who leads from the trenches. His greatest strength his undying loyalty to Starfleet and his crew. His greatest strength is also his greatest weakness. His loyalty can get the better of him and cause him to act rashly. He is impulsive and it could have gotten him in trouble often times. It is a good thing that he has surrounded himself with crew members who keep his impulsiveness in check. Ambitions His ambition since being a little boy was to command an Intrepid Class Starship. Now that he has attained that goal his ambition is never get off the bridge of that ship. he wants to do nothing more than to explore. He lives his life by the old saying just give me ship and a star to sail her by. Hobbies & Interests Tyler enjoys playing 3D chess, and is a student of the old American West. He can often be found in the holodeck portraying Doc Holliday in his adventures with Wyatt Earp. He is an avid horseback rider. His most eccentric hobby is he often plays tabletop role playing games. He also loves poker. He plays the fiddle and likes to play while he thinks. He loves the outdoors and very often likes to live in simpler time one before all the technology. Personal History Tyler was born in the year 2357 on a ranch in Pawhuska, Oklahoma, United States, Earth. 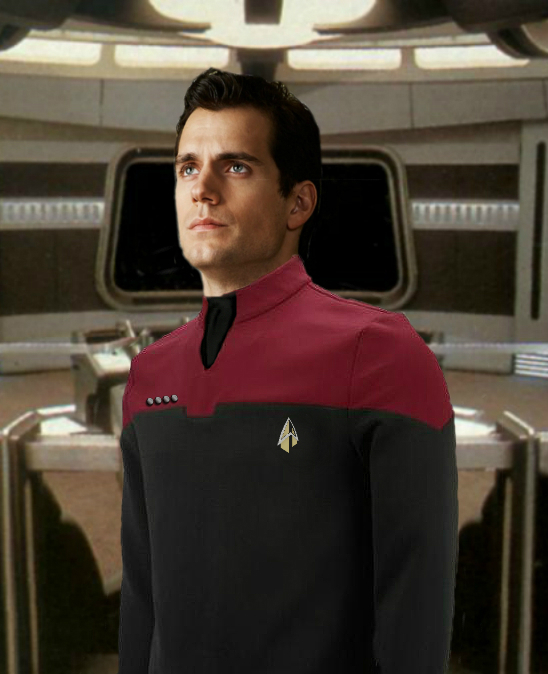 He was the son of a cattle rancher father and his mother served in Starfleet as a Yeoman for Admiral Paris. Tyler’s Dad wanted him to take over the ranch, but the stories that his mother told of Starfleet drew to him more and he relished the chance to go to the stars. When Tyler was five years old his mother gave birth to his younger sister Rachel. The commute from Oklahoma to the Admiral’s office in San Francisco especially with two young children was getting to be a bit much. Combine with this the fact that Barry Malbrooke had realized that neither of his children wanted to be a rancher. So he sold the ranch and the family moved to San Francisco where Barry became a history professor. Growing up the two siblings Tyler, and Rachel had your typical rivalry. He excelled at things technical rebuilding machines and figuring out not just how they work, but why they work. She became an academic concentrating on ethics and the law. Tyler got into trouble fairly often. First with his parents as he took apart the home electronics to figure out how they worked. Then later at school when he would get into fights with other children. They would call him names and tease him for his bookish ways and he would not take it. He quickly became known as a hothead. His parents were called to his school on more than one occasion for a fight that he got into or because he took something apart that he was not supposed to. He made a few close friends and cherished the few that he had. Very often counting them among his family. His reputation with his friends was that if you messed with any one of them you messed with Tyler. Due to his troubles he was given the nickname Mal which stuck until his days at the Academy. In the year 2367 when Tyler was 10 years old disaster struck his young life. His mother had made the decision that she had enough with the commute back and forth to San Francisco. So, she talked Tyler’s father into selling the family ranch and moving there. Barry Malbrooke became a professor of history, his second love. However, young Tyler was devastated to leave his friends and the life that he had built behind. Thus he began to act out worse than before. Within a few months of being in San Francisco Mal fell into his old ways. Tyler’s first love was a bookish girl in junior high school. Her name was Emma and she seemed to always get harassed for being just a smart, girl who wanted to be left alone. He saw a kindred spirit in her and loved her from a far being the awkward boy he was. At one point Tyler was fourteen years old at the time he saw a particularly rowdy group of boys harassing Emma with a controlled drone. Tyler was able to use his personal communicator, which was only to be used to contact mom and or dad if needed, to interfere with the signal from the boys controller. He used the drone to follow the boys home and harry them with the threat of lasers. Tyler’s parents along with his principal were very disappointed in Tyler but they also had other plans. Rather than punish him, the principal set Tyler the task of creating a group of like minded boys and girls who would help keep the school’s technology in good repair and up to date. When Tyler was sixteen his mother was transferred to the Pathfinder Project to continue to work for Admiral Paris. It was here that Tyler furthered his knowledge of Starfleet Operations. He also developed a fascination with the USS Voyager, not her crew but the ship itself. He began to learn all he could about how that ship worked and why it worked. Fortunately his mother’s access allowed him to learn all he could about the ship. This event sparked Tyler’s belief that he should go into Starfleet Operations. The improvisation in ops alone lent itself to a litany of possibilities. Tyler’s largest aptitude seemed to be not so much with how things functioned but it was more why they functioned. How things operated, was what came easy to him. It was at this time that he realized two things. One like his mother he wanted to join Starfleet, what better place would there be to learn how things work, and keep them working. The aptitude cemented Tyler’s path into Starfleet Operations. Tyler’s general schooling went by basically uneventful. He experienced all that a normal boy experienced, the same trials and tribulations. He graduated High School as the salutatorian. His girlfriend at the time Emma was the valedictorian. His grades earned him a spot at Starfleet Academy with little to no effort. His mother offered to use her clout with the Admiralty to get him anything he wanted at the Academy. However, Tyler refused preferring to earn anything he was to get. When the Academy semester started in the fall of 2375 Tyler fought with his parents. They wanted him to stay home and he wanted to go to the dorms. It didn’t help much that his sister was arguing with them as well as she wanted to go to France to pursue a career in the legal field. Tyler’s long time fascination with why things worked set him up to be a prime candidate for the Operations program. Those first few weeks at the Academy led Tyler to meet a man who would become a long time friend. His freshman year roommate, Joshua Coslar A very smart, friendly individual from Delaware USA. Rooming with Joshua or Josh as Tyler came to call him was what sparked his interest in 3D chess. The two men used to play until all hours of the night in their dorm room. It was Josh who gave Tyler his new nickname, Ty, this name stuck with Tyler and lasts until the present time. While at the Academy Tyler developed many friendships. Among them was an Engineering student Katherine “Kat” O’Donnell. The two of them worked almost night and day on class work and on personal projects. They quickly learned the reason that Engineering and Operations went hand in hand. They, were inseparable. They became known as the dynamic duo and the rest of their circle of friends often joked that the two were secretly married. It was when she asked him to teach her to horseback ride in their junior year that they actually became a couple. That junior year was the most memorable year of Tyler’s time at the Academy. Not only did he start dating a woman that he truly loved, an event occurred in San Francisco that shaped the rest of his Starfleet career and life. 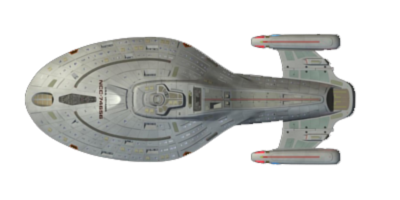 In 2378 the USS Voyager returned to Earth after its seven year journey in the Delta Quadrant. Until that moment Tyler had only seen the ship’s schematics and in data files. But seeing it up close as it glided over the Golden Gate Bridge. Tyler knew then and there that he had to command one of those Intrepid Class ships. Tyler had no inclination to command before seeing that ship land. He had to continue the legacy that Voyager started. Tyler worked night and day to keep his grades up and earn the respect of his peers and his superiors. At the beginning of his Senior year he won a contest and was given a full tour of Voyager by that ship’s former Chief of Operations Lieutenant Harry Kim. Listening to Lieutenant Kim talk of his experiences Tyler listened intently. He absorbed all of the information. He was even lucky enough to bounce ideas off of the Lieutenant. Tyler was in awe, of that ship, of what it could do and of what the crew did to survive. Upon graduating and being commissioned as an Ensign, Tyler was given his first assignment aboard the Nebula Class, USS Sutherland as an operations officer. He was ecstatic to find that Kat was sent to the Sutherland as well as an Engineering officer. It was while serving on this ship that the two became engaged. Tyler was really enjoying this new life in the fleet, and he never understood why his father was so against it. In 2382 Tyler was happily serving as an Operations Officer aboard the USS Sutherland, he had been cleared for bridge duty by this time. As had Kat and the two of them had managed their schedule so that they worked the same shift. In December of that year tragedy struck, a number of messages from Tyler’s Dad had gone unanswered. Tyler was involved in an extremely important mission. When he finally got around to listening to the messages his father had spoken of his mother’s deteriorating health. It was the final call that did it. Tyler was about to open a channel to his father, when an incoming message from Earth was routed to his station. This message was from Admiral Paris, he had contacted Tyler to tell him that his mother had died. She died without her son there to console her or to even tell her he loved her. He never forgave himself for not saying goodbye to his mother, the woman who sparked his life’s path. In his grief Tyler sunk himself into his work, he distanced himself from all of his friends. He even distanced himself from his fiancee. This immersement in his work lead Tyler to take extra shifts and volunteer for dangerous away missions. The latter upset his fiancee, and she tried to get him to stop. In December 2382 the extra work paid off and Tyler was promoted to Lieutenant Junior Grade. In March of 2383 Tyler had received early word that he was to be transferred. He could not bear to lose two women that he loved within months. So Captain Mettler of the USS Sutherland married Tyler to the love of his life. Katherine O’Donnell became Katherine Malbrooke. The strong stubborn woman that she was Kat decided to forgo the white dress in favor of her dress uniform. Barry Malbrooke met the Sutherland for his son’s wedding. Ty’s sister Rachel served as a bridesmaid, also in her dress uniform. Katherine's oldest and dearest friend Patricia Montgomery met the Sutherland as well to serve as Maid of Honor. The following month in April of 2383 Tyler was transferred to the USS Dublin to serve as an Operations Officer and a Quartermaster. For Ty the transfer was bittersweet. Going to the Dublin was a step up the ladder in the right direction. However, he was going to have to leave his new bride behind. The newlyweds told themselves that this was the nature of Starfleet life. They swore a solemn oath to each other that once a night every week they would speak. Unless they were under a communications blackout. The couple was as good as their word. It was aboard the Dublin that Tyler had met the man who would help guide him through the rest of his career. This man was a Lieutenant in the Dublin’s tactical department Santiago Vela, or Santi as Tyler would come to know him. Santi had a tactical mind where Tyler had a technical one, the two worked very well together. Many of the stratagems that Santi taught Tyler have stayed with him to this day. Santi was the only person outside of the Academy that would call Tyler “Mal”. Whenever Tyler would get buried in his work it was Santiago who reminded him of his oath to his wife. In December of 2386 Tyler was granted a promotion to full lieutenant and given the position aboard the Dublin as the Assistant Chief of Operations. This promotion occurred because of a great feat of Engineering that Tyler was able to accomplish. The Dublin had to smuggle a Federation operative out of Romulan space in the fallout from that planet star’s supernova. Tyler managed to take an emergency transporter armband and retrofitted it to disguise the operative’s life signs. Tyler remodulated the type-7 phase discriminator to do the job. He smuggled it to the operative, and got the operative out with minimal casualties. A year later in November of 2387 Tyler was transferred to the Vesta Class USS Tomahawk to serve as the Assistant Chief of Operations. Tyler knew the nature of working in Starfleet meant that very often you had to leave your friends behind and seemed that is what fate had dealt him this time. His best friend on the Dublin Santi Vela was being transferred as well. So it was with a sorrowful heart that he left the Dublin. Although they still spoke every week and saw each other every shore leave the differing assignments had taken a small toll on Tyler and Kat’s marriage. Tyler swore another oath to her that he would try his best to get them both assigned to the same post again. Tyler was getting angered at constantly having to leave people you cared about. This was thus far the worst part of service. Tyler served the Tomahawk with distinction from November of 2387 until April of 2390. It was that April that Tyler performed yet another feat of technological prowess. After a particularly brutal skirmish with residual Dominion forces the Tomahawk was forced to eject its warp core. Tyler lead a team of Engineers in a runabout to go retrieve the core. They executed repairs to the core while in EVAC suits and then managed to reintegrate the core into the Tomahawk. For his exceptional leadership, and his ability to improvise Tyler was promoted to Lieutenant Commander and given the position of the Tomahawk’s Chief of Operations. He was also given a commendation for original thinking. He served the Tomahawk for another two years earning many accolades including being given the position of the Tomahawk’s Second Officer. In January of 2392 Tyler got a call from an old friend. His Academy buddy and roommate Josh Coslar had earned his own command and it was a Prometheus Class. Josh was commanding the USS Poseidon and remembering Tyler’s extensive operational knowledge Josh did not know of anyone better that could help manage the new multi vector control. Tyler was transfered to command serve as Executive Officer of the USS Poseidon. Tyler and Josh made a formidable team, that was in part due to the fact that they knew each other so well. They knew what each other would do in most given situations. Tyler had many memorable moments while serving aboard the Poseidon. But, none more that the first time that he sat in the chair on the bridge, to him it felt like home. He now more than ever wanted the command of his own ship. So he set out to prove that he could be more than just an Ops Officer. That he had command potential as well. In October of 2393 Tyler had a chance to prove exactly that. Josh had been kidnapped by a group of Orion Pirates while he was on shore leave. Tyler took command of the Poseidon and not only pursued the pirates throughout the sector. But cornered them on a class M moon. Under his instructions an away team from the Poseidon managed to get down to the moon, and covertly free Captain Coslar. This task was made extra difficult as the Captain had fallen under the pheromone spell of one of the Orion women. Using his basic medical knowledge, along with the assistance of the Poseidon's Chief Medical Officer. Tyler was able to create an antidote, he delivered it to the moon himself. However, the CMO told Tyler that it had to be delivered by hypospray. Tyler challenged his Captain to honor combat, for the hand of the Orion woman. Tyler had inoculated himself while aboard the Poseidon. During the combat he managed to deliver the hypo. Tyler received a broken arm for his troubles. June 2394 - Promoted to the rank of Captain by order of Rear Admiral Oliver Lancaster. This promotion for unveiling the New Maquis.